Corey Stewart is Virginia's Republican Senate nominee, following Tuesday's primary election. 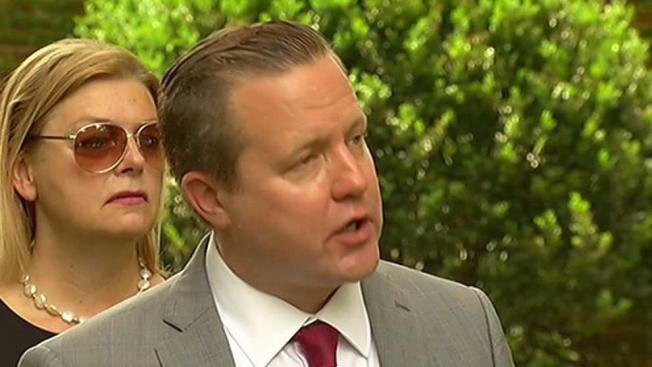 Republicans chose Corey Stewart, an outspoken supporter of President Donald Trump and defender of Confederate monuments, as their nominee for Virginia's U.S. Senate race Tuesday. Stewart, chairman of the Prince William Board of County Supervisors and one-time state chairman of Trump's 2016 presidential campaign, defeated Nick Freitas, a state delegate, and E.W. Jackson, a minister, in Tuesday's Republican Senate primary. Stewart said that the results show that the Republican Party in Virginia stands behind Trump. "We're going to support his policies," Stewart said. "That's what I'm going to bring to the United States Senate and that's what Virignia said tonight that they want." Stewart has pledged to run a "vicious" campaign against U.S. Sen. Tim Kaine, who did not face a primary opponent and is considered an early favorite to win the general election. Virginia Republicans haven't won a statewide race in nearly a decade, and Kaine has a massive fundraising advantage over Stewart. "In a campaign between 'upbeat problem solver' and 'ruthless and vicious,' I am very confident that Virginians will go with the positive. They always do," Kaine said. In a victory speech, Stewart said he's going to campaign in a way that appeals to blue collar voters across the political spectrum. "We will unite the coalition that President Trump brought together in 2016. We will win working men and women across this state," Stewart said.